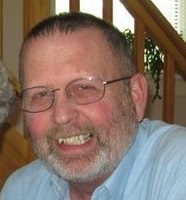 ELLSWORTH – Gregory B. Dow, 68, died tragically and unexpectedly after a life-long, hard fought, battle with depression. Greg was born on April 5, 1950, in Ellsworth, the son of Leonard R. and Evelyn F. (Homer) Dow. Greg graduated from Ellsworth High School, class of 1969. He was a proud veteran of the United States Marine Corps, having served in Japan and the Philippines during the Vietnam conflict. Greg and his beloved wife, Crystal, celebrated 33 years of marriage in November 2018. Greg was a member of the Elks Club in Ellsworth, the Masonic Lodge of Bar Harbor, a lifetime member of the Hancock County Shrine Club, and, for many years, the American Legion. Greg loved to golf and to ride the roads in Northern Maine. He was an avid star-gazer and loved politics and history, particularly, military movies. Greg was predeceased by his mother, father and his younger brother Geoff. Greg is survived by his beloved wife, Crystal (Beam) Dow; his step-daughter, Joelle (Strout) Ingalls, whom he loved as his own for over 36 years, her husband Jason, of Surry, and their son, Greg’s grandson, Xander; his sister-in-law Marjorie Beam of Bar Harbor, her children Ben and Kati and their families; and his furry companion, Penny, who was always by his side. Greg is also survived by his younger sister, Jennifer Saunders and her husband Buddy; his nephew Ross Saunders; and his niece Paige Osgood, husband Justin, and their daughters, Payton and Avery; his older brother and his wife; his nephew Sean Dow, wife May, and their son, Mason. He was our husband, our step-dad, our Grandpa, our brother and brother-in-law, our uncle, our Greggie Bear and our friend. He touched so many lives, from co-workers to customers, at Don’s Shop-n-Save and McEachern and Hutchins, and in recent years, he found great enjoyment driving children with the Ellsworth School System. He spent hours brightening other people’s lives and his foolishness and wonderful sense of humor will never be forgotten. We miss him deeply already. A celebration of life will be held on March 31st from 2-5 pm at the Ellsworth Elks Club on High Street in Ellsworth. Interment will be at the Veterans’ Cemetery in Augusta in the spring. Greg was very proud of Joelle’s work with veterans and, if so desired, gifts in Greg’s name can be made to The Summit Project, PO Box 8130, Portland, ME 04104 or www.thesummitproject.org. Crystal, Marge and Family, I was saddened to learn of Greg’s passing. I have such fond memories of him from my time at High Street Dental. May your memories of Greg get you through this very difficult time. Cousin Greg’s spirit will always remain with me–my sincere condolences for you all! He was a good and kind person….